In September, SAIL editors Meredith Laitos and Lindsey Silken caught the last breath of summer on opposite coasts of the country. Though Labor Day marks the end of the season for many a northern sailor, these late-season charters revealed just how much they’re missing out on. In September, SAIL editors Meredith Laitos and Lindsey Silken caught the last breath of summer on opposite coasts of the country.  Laitos traveled to San Francisco Bay, where she sailed a Beneteau First 40 with Sunsail, while Silken chartered a Sabre 386 from Swift Yacht Charters and sailed from Bristol, Rhode Island, to Block Island and back. Then, the two settled back in SAIL’s Boston offices for a long winter on the hard. Though Labor Day marks the end of the season for many a northern sailor, these late-season charters revealed just how much they’re missing out on. LS: Sailing around Rhode Island was chilly on deck in the evenings, but the days were gorgeous and in the high 60s and low 70s—without the mosquito-loving humidity. And the water was still warm, so the cabin stayed comfortable for sleeping. ML: The locals in SF will tell you that summer doesn’t start until September and that the heart of it extends through October. We experienced 70-degree sunny days without a drop of rain. The nights were chilly, but that gave us an excuse to cozy up belowdecks. LS: We had much of Narragansett Bay and Block Island Sound to ourselves, plus very few people to contend with on-island. This made for a friendly atmosphere when it seemed each of the 15 sailors moored and TV-less in Great Salt Pond went ashore to watch the Patriots game. The Oar, at the Block Island Boat Basin, took pity and stayed open for us until the end of the game—talk about getting to know your neighbors. ML: We spent our favorite night in SF Bay at Angel Island, a gorgeous State Park where the docks and moorings are picked up on a first-come first-serve basis. In the summer, the hiking trails and picnic tables fill up with visitors arriving on ferries from the mainland, but we had plenty of room to roam and were able to pick up a mooring ball easily. SF Bay is always busy, but our weekday water traffic was completely manageable. LS: While Narragansett Bay has fairly consistent breeze, it’s good to catch a lift when heading to Block Island, as the trip can get long and bouncy. Incredibly, on our sail the wind was blowing from behind us both ways. We made three hours from Block Island to Conanicut Island. ML: SF Bay is notoriously breezy, but I swear we got the best of it. On the day we’d set aside expressly to “just sail around,” we saw 25 knots consistently, gusts to 30, and boat speeds up to 12 knots. We were reefed, we were soaring and we were loving it. 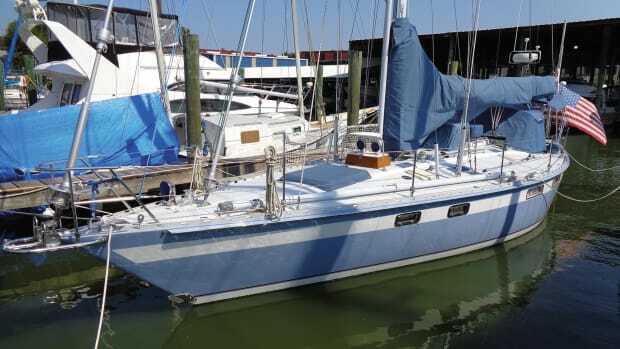 Half of my crew were old college sailing buddies, and we were tweaking every line and pound of ballast to optimize performance (with us, there’s no such thing as a “cruise”). Just when I thought we couldn’t catch any more breeze, I looked toward the city where l’Hydrotere was practicing to beat their speed record of one mile at 37.5 knots. In their wake, 12 knots has never felt so slow. LS: During high season when the kids are out of school, charter companies get booked up quickly. But by late September, we were able to find better pricing and availability in the Swift fleet of privately owned boats. 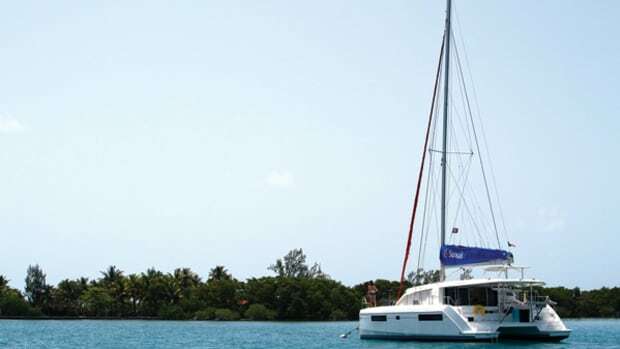 You’ll be glad to have one of their seaworthy vessels like the Sabre 386 I chartered if you’re planning to visit any of the islands in New England. 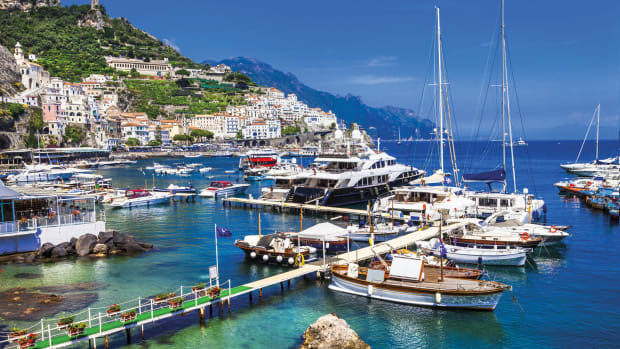 ML: During high season, the docks of charter bases are crowded with guests, boat cleaners, customer service reps and provisions. 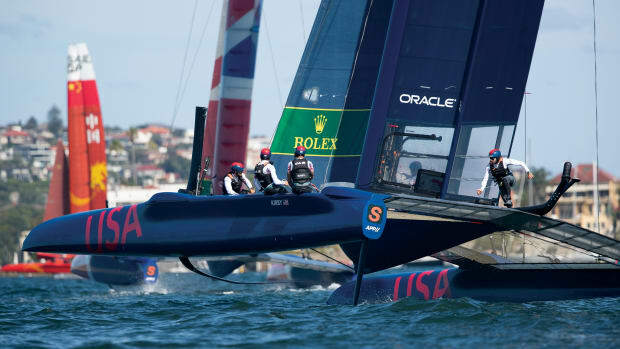 As America’s Cup hype continues to build in SF, Sunsail’s new base will be crawling with sailors in no time. But for us, on a reasonably random weekend in late September, checking in and out was a complete breeze. The base staff was accommodating, flexible and extremely helpful. 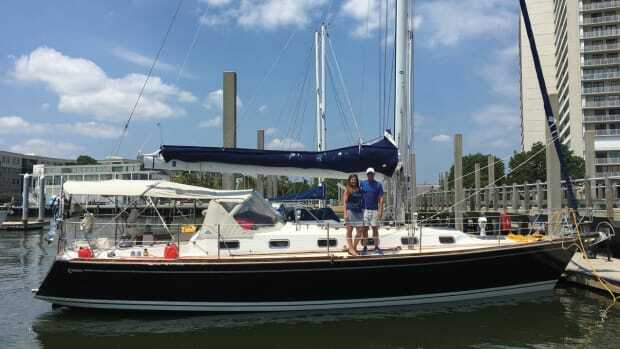 LS: At the Block Island Boat Basin, the launch wasn’t running, but hey—the moorings were half-price! And while there was no one waking me up with the traditional sounds of “Andiamo!” and fresh sticky buns in the morning, the Old Harbor View seafood shack in town was still open with fresh lobster rolls and no line. California sunshine and breeze  who can ask for anything more? ML: This didn’t necessarily apply to SF, but I do recall an off-season charter on the Chesapeake in which the bartender in Oxford, MD, was so excited to see actual customers, she threw in another dozen crabs for free. There was another off-season charter, from St. Lucia, where we arrived in Mayreau on the first day of lobster season and the self-named “Black Boy” gave our party of eight enough lobster for a party of 18. Still, we’d take the thinned-out crowds, the empty bars, the fresh breeze and the empty mooring fields any day. 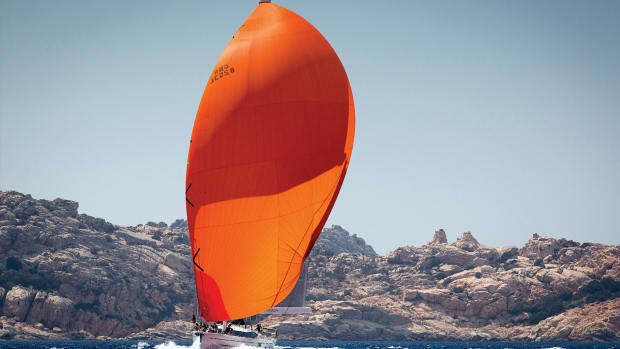 Stay tuned for the March 2013 issue, where Laitos and Silken tell the full stories of their coastal journeys.